Tokamaks today are the best toroidal containers for confining fusion plasmas by magnetic fields in the laboratory. We summarize salient features of the performance of Tokamaks as magnetic containers for hot plasmas for their utilization in fusion reactors. We punctuate this summary with a brief overview of the physics of tokamaks, which can help us broadly understand these major features. We end our discussion with a perspective where tokamaks are compared to another mysterious object in Physics, namely, living matter!! Professor Predhiman Krishan Kaw, the founder Director of the Institute for Plasma Research, is presently the DST Year of Science Professor at the Institute. He obtained his Bachelor’s and Master’s degrees from Agra University in 1962 and 1964 respectively and then received his Ph.D. degree from the Indian Institute of Technology (IIT) Delhi at the very young age of 18 years. He then proceeded to the University of Princeton as a Post-Doctoral Fellow and subsequently became a member of the research staff at the Princeton Plasma Physics Laboratory. Prof Kaw came back to India in 1971 for a few years as a senior faculty member of the Physical Research Laboratory, Ahmedabad and during this period helped initiate experimental plasma research activities there. In subsequent years this seed program served as a nucleus for the fusion program in India, which Professor Kaw founded when he finally returned to India in 1982. In his long and illustrious research career, spanning over more than 50 years, Professor Kaw has made seminal contributions in many areas of plasma physics. His early work was on the interaction of intense laser pulses with plasmas for laser fusion. He pioneered the investigation of parametric instabilities, filamentation and relativistic effects in nonlinear laser plasma interactions. In 1971 he started work on space plasma problems related to electrojet instabilities in the ionosphere. During his second tenure at Princeton (1975-82), he carried out original and outstanding work on several tokamak physics problems, including study of drift waves and anomalous transport, tearing modes and disruptions, RF heating and current maintenance by novel methods. His research has provided important insights into tokamak edge turbulence and transport, nonlinear laser plasma interactions, physics of exotic plasmas like non-neutral plasmas, dusty plasmas and quark-gluon plasmas. He has more than 400 research papers published in renowned journals and has also mentored a large number of graduate students many of whom are today leading international scientists in plasma physics. 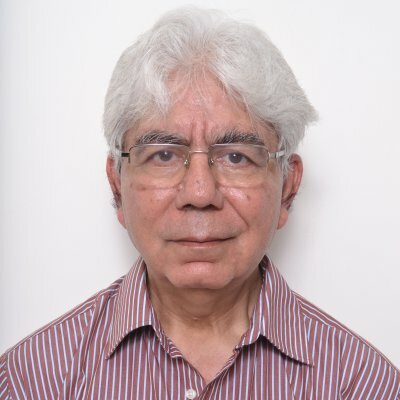 Prof. Kaw is a recipient of several awards and honors that include the INSA Medal for Young Scientist (1974), Padma Shri (1985), SS Bhatnagar Award (1986), Distinguished Alumni Award from IIT Delhi (1992), RD Birla Award by Indian Physics Association (2002), Albert Einstein Research Professorship of INSA (2006), Vice-President of INSA (2006), JC Bose Fellowship of DST (2007), Physics Prize of TWAS, Trieste (2008). He is Fellow of the Indian Academy of Sciences, Bangalore (1974), American Physical Society (1980) and the National Academy of Sciences (India), Allahabad (1987).